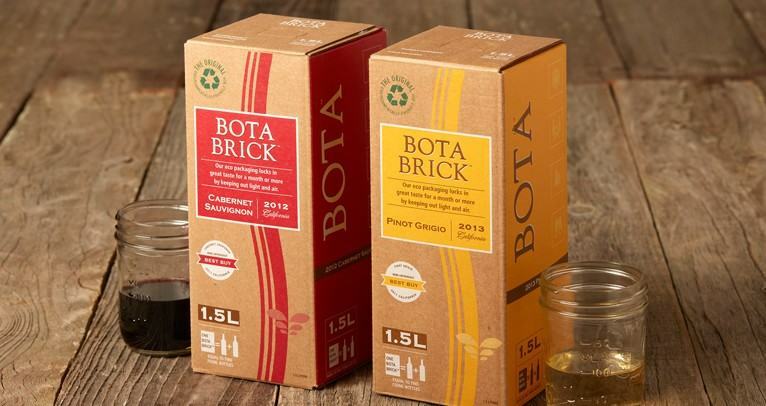 NAPA, Calif., Dec. 11, 2014 /PRNewswire/ — Bota Box, the nation’s leading eco-friendly wine producer of premium 3-liter varietals, announces the launch of Bota Brick, a groundbreaking new entry in the 1.5-liter wine category. Featuring the same environmentally responsible packaging as the original 3-liter Bota Box, Bota Brick offers wine consumers a new alternative in the 1.5-liter section that stays fresh after opening more than four times longer than any 1.5-liter glass bottle. 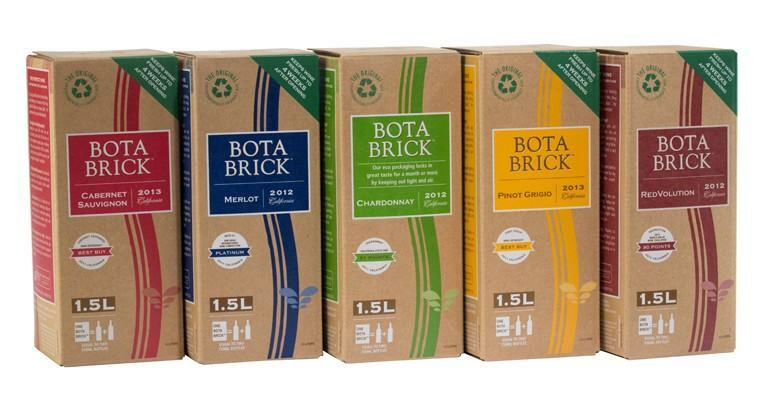 Packaging for Bota Brick is made from unbleached, post-consumer fiber and is 100 percent recyclable. The carton is printed with VOC-free inks, and is constructed with corn starch over synthetic glues. State-of-the-art bag-in-box technology allows consumers to enjoy wine from Bota Brick for up to four weeks after opening. Bota Brick joins the Bota Box suite of offerings, including the flagship 3-liter Bota Box and Bota Mini, a 500ml Tetra Pak. The inaugural portfolio of Bota Brick includes a Pinot Grigio, Chardonnay, Merlot, Cabernet Sauvignon and RedVolution, a red wine blend. The equivalent of two, 750ml glass bottles, Bota Brick is now available in the 1.5-liter glass section of retail outlets nationwide at a suggested retail price of $12.99. Bota Box is crafted by Delicato Family Vineyards, a family-owned California winery founded in 1924. Three generations of the Indelicato family have guided grapes from vineyard to bottle and into homes and dining establishments around the world. Delicato Family Vineyards is steadfastly committed to crafting and representing wines of the highest quality produced in accordance with sustainable winegrowing practices. Launched in 2003, Bota Box produces 3-liter, 1.5-liter and 500ml premium wines in environmentally responsible packaging. For more information about Bota Box, visit www.botabox.com or find Bota Box on Facebook at www.facebook.com/botabox.